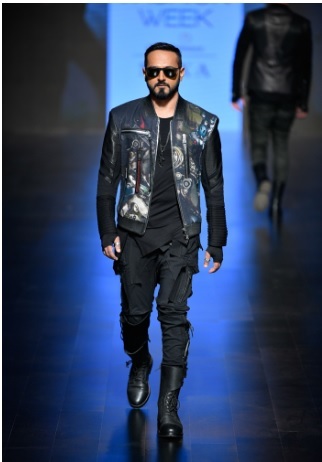 Designer Asa Kazingmei, a fashion visionary known for his edgy leather jackets, showcased his collection ‘BIONIC’, where the dashingGurmeet Choudhary graced the ramp at Lakme Fashion Week SR19 at Mumbai. 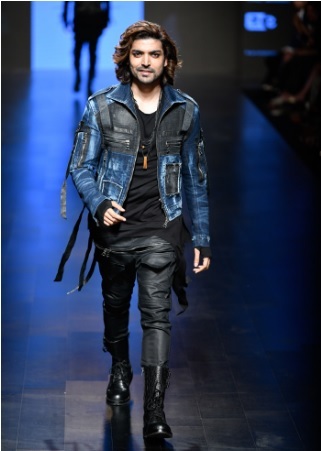 Along with Gurmeet, Nikhil Chinapa, the renowned DJ/ VJ and Prathamesh Maulingkar, Mister Supranationalwere also seen walking the ramp for the designer on the first day of the fashion extravaganza! 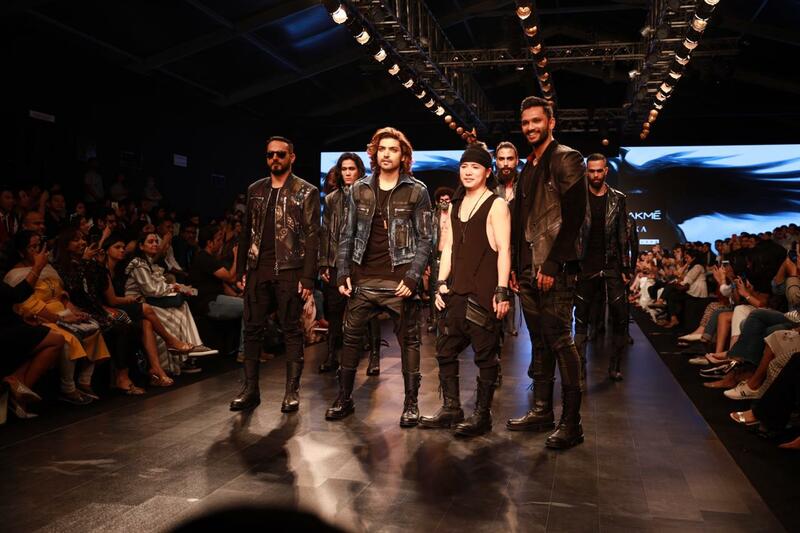 The show was extremely fabulous with the crème-de-la-crème of the fashion industry in attendance! With Bionic, Asa Kazingmei brought his avant-garde aesthetic to designs that represented key physiological functions of humans. The combination of diverse leather materials was flecked with studs and paint! The advanced research and development with bionic perceptions, and the time taken to evolve the entire concept offered a glimpse into other worlds with a new dimension of apparel to experience. The stage & dramatic music complimented the collection well. 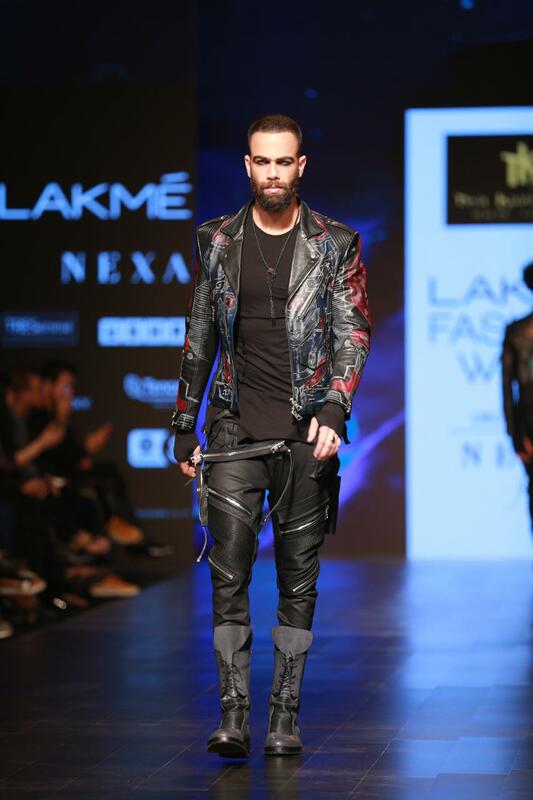 The fabric base in leather and denim with white, green & gold metallic detailing merged together to create edgy, powerful and inspiring clothes!The clean cuts gave a futuristic look and the geometric designs added drama to his collection.